When I set out to complete research on variable width buffers, I knew that I would need the full two years to complete my proposal. As I sit here writing the 2012 midterm report the night before it is due, I am reminded about why I chose the two year option. This is an ambitious and time intensive project, especially for folks, who have full time jobs, farm on the evenings and weekends, and try to balance a family life. To date, I am behind on my goals, although progress has been made. As I move forward I am setting aside dedicated time each week to make sure I can see the project through to completion. My overall objectives and performance targets remain the same. However, I believe that I need to focus my study in on one field, as opposed to 3. Originally my research was to study 3 different fields, but I do not think that my original budget will be able to afford a highly detailed study for all three fields. Therefore I would like to focus those dollars on one field. This will allow me to get very accurate data that will help to inform the research. Additionally I feel that the field I have chosen is the best subject out of the three original fields as it has the most rolling landforms and has the closest proximity to a major waterway that leads to one of Ohio’s state scenic rivers. Test and troubleshoot how easily variable width buffer boundaries would migrate from virtual computer data to real world implementation. 2. 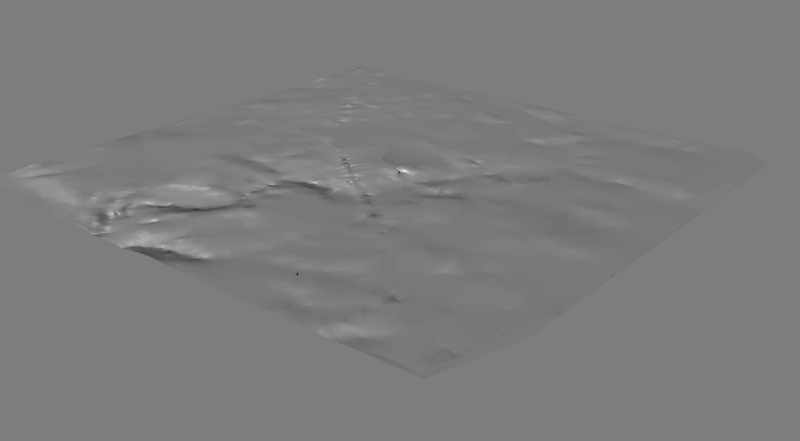 I have also created a 3D topography surface of one of our fields based on contours that I acquired from the local county website. 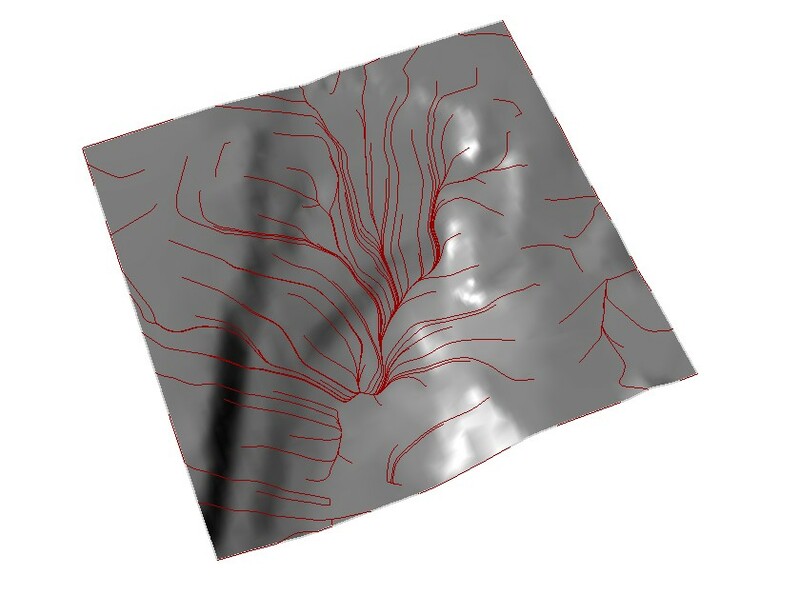 The topography surface will be used to better understand where water is flowing, and eventually help to prescribe width of buffers at different points along the field. Please see attached illustration. 3. The model will be paired with a script download that is available online and produced by a third party source. This plugin allows one to visualize the path of a rain drop from the time it hits a topography surface all the way until it leaves the edge of that surface. In this case, the surface is a field. Please see attached illustration. 4. Lastly to ensure an accurate study, part of my budget will be spent on getting a true topography survey of one of our fields. I have scheduled for this to take place this spring before planting, but have not been able to get in due to the wet weather. This piece of the puzzle will help to bring a greater level of accuracy to the research. There is no impact or contributions that can be reported at this point in time. As I move through the coming year I will have more to share on my findings, and will be seeking opportunities to get the research work out and into the hands of all who are interested.